Sony has announced a new $200 price point for the Vita during its Gamescom press conference. Confirming what many had thought was coming (and well overdue), Sony officially announced at its Gamescom conference that the PlayStation Vita will be getting a price drop. The handheld, which launched at $250, will henceforth be $200 in the United States. 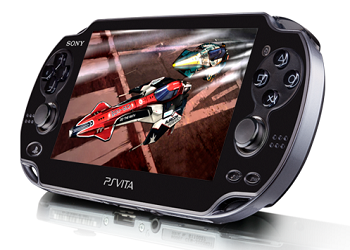 European Vitas will be receiving a similar price cut translated into Euros. The price drop honestly comes as little surprise. Suspicions about a potential cut had recently been fueled by similar recent discounts being offered at Target and Best Buy. The price cut came alongside several new game announcements, including a confirmed Vita version of Hotline Miami 2: Wrong Number. Sony also spent some time during its press conference highlighting the Vita's remote play functionality with PS4. Even with a price cut in play, it remains uncertain if the tides will turn for the Vita. A $50 drop in its price is a definite positive, as are promises to reduce the cost of the handheld's proprietary memory cards. Whether or not these price drops result in a boost in sales, however, is something we'll have to wait and see. That said, this is an inarguable step in the right direction that many gamers have been begging for since the portable launched in 2011.